Jam DJ Sober’s Latest Satin Sheets Mix. DJ Sober Just Dropped His Annual Valentine’s Day Mix, Satin Sheets. Listen To It And Get Into The Baby-Making Spirit. As is annual tradition around these parts every Valentine’s Day, DJ Sober just dropped his annual Satin Sheets mix, which finds the lauded Dallas DJ — who, never forget, DJ’d Dirk Nowitzki’s wedding — traversing more-bedroom-ready territory in his selections than he otherwise might at, say, his strong-as-ever weekly Thursday night Big Bang bashes at Beauty Bar. This year’s version of the mix — the sixth in the ongoing Satin Sheets series — features classic cuts from the likes of Sade, Koffee Brown, R. Kelly, Adina Howard, Chris Brown and many more. It’s a killer collection — evidenced, we’d say, by the fact that we listened to the 52-minute mix three times through this afternoon here at CTHQ. Give the Sam Lao-hosted affair a spin below — but, before you hit play, be prepared for it to make you feel some type of way (just saying). If you’re digging Satin Sheets, Vol. 6 like we are and you’re still without any concrete Valentine’s Day plans, then your Tuesday night move this year is to head off to the It’ll Do Club starting at 10 p.m., where Sober will be joined by the up-and-coming DJ Christy Ray as he hosts a Valentine’s Day bash also dubbed Satin Sheets. Cover to the party is $10, and you can guarantee your way in buy purchasing them ahead of time right here. 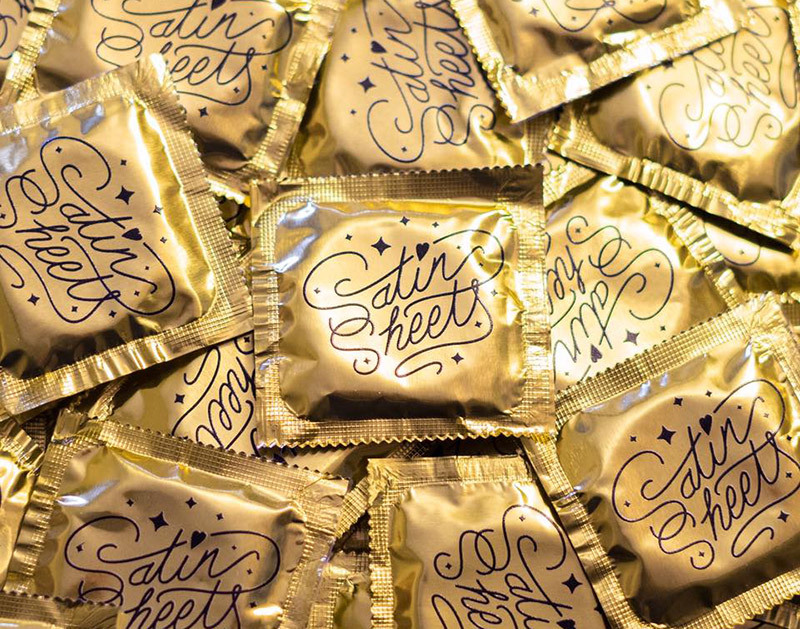 Just be sure to get there early so you can score some of the party favors Sober secured for the night — some limited edition gold-wrapped Satin Sheets condoms, nbd. Play your cards right and, single or no, you could be using those after you bounce from the club later in the night. Previous ArticleDallas’ Rachel Lindsay To Be First Black Bachelorette. Next ArticleThings To Do On Tuesday, February 14.